The Hi-Fi section is intended for audiophiles, aficionados, demanding listeners – simply all lovers of crystal-clear sound. And if you want to settle into an armchair with your favourite beverage to enjoy your beloved vinyl records, you're in the right place. In this article we tell you how to choose a Hi-Fi turntable and what to pay attention to during your purchase. Hi-Fi turntables can be divided into those with only phono outputs and those that also have a standard pre-amp with line outputs. An external pre-amp must be connected to a turntable that only has phono outputs. The advantage of these models, however, can be their original design (various interesting forms in contrast to the classic rectangular case) and smaller vibrations, meaning a purer sound. Moreover, the external pre-amp introduces a new sound character and expands control possibilities. The main advantage of a turntable with a built-in pre-amp is that nothing else is required – you can connect it through the line outputs straight to your Hi-Fi system, home cinema or any other speakers. This type of turntable can also be equipped with a USB port, allowing you to convert your favourite vinyl records to digital format and save them on your PC. 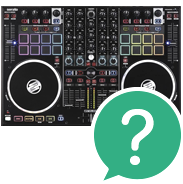 Forget what you learned in DJ school, where a direct drive is an advantage for DJs, who require the fastest possible response from the records. 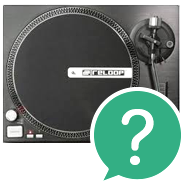 Hi-Fi turntables are equipped exclusively with a belt drive to prevent the transfer of motor vibrations to the platter and the record. As a result, the reproduction is maximally pure. Turntables standardly support 33 and 45 rotations per minute. The speed can be switched with the designated button, but there are also models that require the manual change of the belt between pulleys. Oddly enough, this method can also be found in luxury turntables, as represents a solution of unsurpassed precision. The chassis of Hi-Fi turntables are typically heavy to provide a stable base for the spinning record, as any speed fluctuation or imprecision would have a very poor impact on sound reproduction. Belts are also made from special materials (e.g. carbon fibres) to make them light and avoid unnecessary pressure on the record, which would distort the sound. Hi-Fi turntables in general are designed for aesthetes, which means that attention is also paid to their appearance. As such, the vast majority of Hi-Fi turntables will be pleasing to both the ears and the eyes.